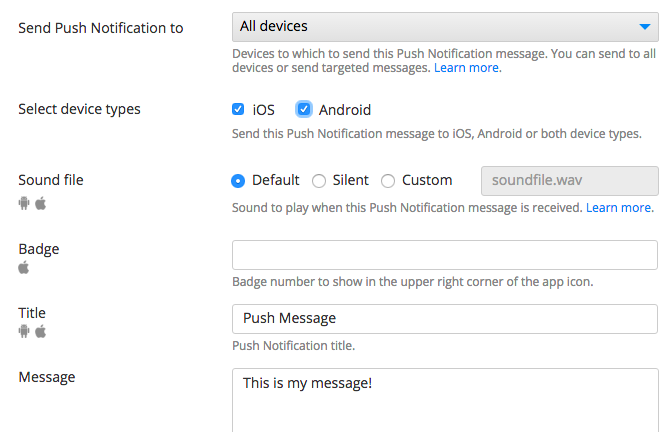 Server Code Push Notifications API (server-side). This first option is probably the simplest way to send a Push Notifications once you have installed an app on a device. Select device types, enter the message and send. The Push Notification message should arrive on the registered device instantly. 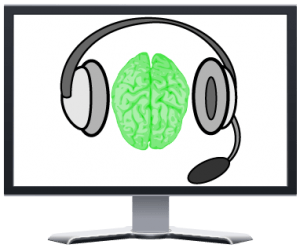 2016 Rolls In with More Webinars! More Learning! Appery.io is the best mobile app development platform out there. Get the most out of it with our webinars. We’ve put together six so far to kick off the new year. The first two cover the most used frameworks on the platform. The next webinar delves into our service for making enterprise assets like SQL databases into REST services. Our last three webinars cover different backend services we offer on the platform that you can use in your apps. Register now and get ready for mobile enlightenment. UPDATE: The deadline has been extended to Dec. 6 by the organizers. The new Developer Economics survey is almost over! The last day, November 27th, is only a week away. Developers, don’t miss out on this opportunity to voice your opinions on the trends and top development issues of the day. The new Developer Economics survey is here! We’re again partnering with VisionMobile for their 10th Developer Economics survey to enable developers to voice their opinions on the trends and top development issues of the day. Appery.io is the best mobile app development platform out there, but, with so much in Appery.io, it’s important you get the help you need to take full advantage of the platform. One way we do this is through frequent webinars and now with our office hours. We’ve lined up a bunch into into December. Next office hours: this Thursday; next webinar (Testing and App Sharing Using the Appery.io Tester App): September 23rd. Check out (and bookmark) our events page to find out more. What time? All webinars start at 11am US Pacific time. Where are recordings of previous webinars? On this YouTube playlist. More questions? E-mail me. 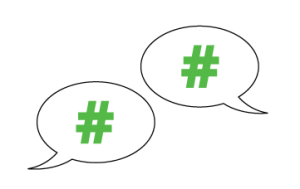 Appery’s Max Katz and Charles Cowens will be hosting a twitter chat for discussion about the Appery.io mobile app platform. We’ll be there to answer your questions, and we’ll have some questions for you, too. Appery’s Max Katz and Charles Cowens will be hosting a twitter chat for discussion about the #apperyio mobile app platform. We’ll be there to answer your questions, and we’ll have some questions for you, too. Q1: What kind of things are you doing with Appery.io that you’d like to share? 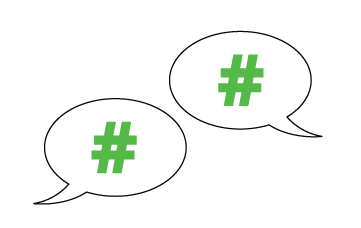 Q2: What are the key improvements you’d like to see in the platform? Q3: Do you prefer getting information through videos rather than text? 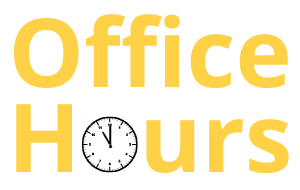 Join Our (Virtual) Office Hours with Max Katz on June 24! Join Max Katz for an interactive Q & A session on Wednesday June 24, 11:00 to 11:30am Pacific. Bring any questions you have about our platform — chances are others will be thinking the same question. Max will take your questions and maybe even demo the answers live! As a bonus, Max will share a couple of tips and tricks to help you build better apps! Register to reserve your space now! Check out many other videos on the Appery.io YouTube channel.